A thuistí, Cuireadh ar an eolas mé go raibh cás míoltóga ghruaige i Rang 1. Scrúdaigh gruaig do pháiste anocht agus cuir an leigheas cuí air más gá. Chun na míoltóga gruaige a sheachaint chabhrófar gruaig na gcailíní a chur suas agus banda gruaige leathan a chaitheamh. Go raibh míle maith agaibh! Dear parents, I have been informed of a case of headlice in First Class. Please check your child's hair tonight and treat it if necessary. To avoid the head lice it would help to put up the girls' hair and for them to wear a wide hairband. Thanking you all in advance! 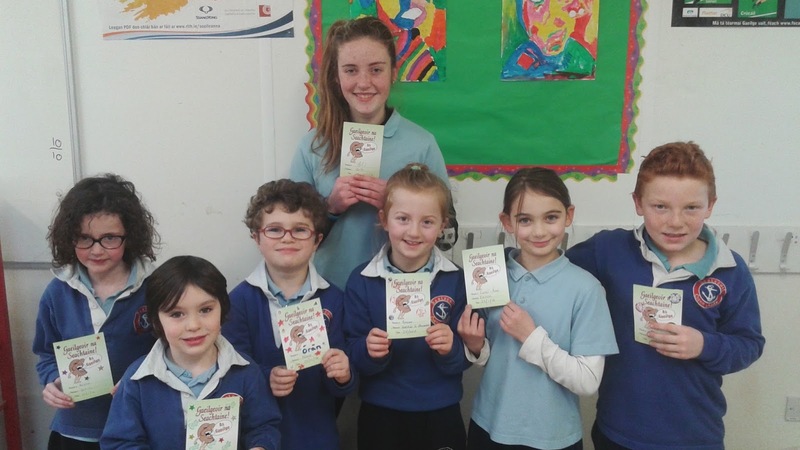 Tá treanáil camógaíochta faoi dhíon ag 8 gcailín ó rang a 4 i Sáile amárach 29/01/16. Ag siúl ann, ag fágaint na scoile ag a 11.15 r.n., ar ais ag a 12.45 i.n. Blitz ag an ochtar ar an Máirt seo chugainn 02/02/16 in Ath an Mhaide. Níos mó eolas le teacht. 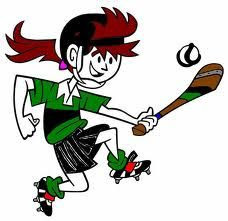 Eight 4th class girls have indoor camogie trainining in Sáile hall tomorrow 29/01/16. Walking to and from (see times above) with Múinteoir Róisín. Blitz 02/02/16 in Riverstick, more info. to come. Ar choimeád sibh seaicéid don gCéad Chomaoineach ó anuraidh? Muna bhfuil siad uaibh, ar mhiste libh iad a thabhairt isteach go dtí oifig na scoile i gcóir na páistí Céad Chomaoineach i mbliana? Athúsáid / athchúrsáil an rud is fearr a dhéanamh. Did you have a First Holy Communion blazer from last year? Would you consider donating them or lending them to the school?Please drop them into the school office stating whether you’re lending or donating, so that parents of this year’s Holy Communion boys can borrow a blazer instead of purchasing. Re-use / Recycle is best. Le cúpla mí anuas bhí rang a 5 an-ghnóthach leis an róbat. Bhí orthu é a thógáil, ainmiú, foirne a dhéanamh amach, bhí orthu clárú a dhéanamh ar, ealaín a dhéanamh agus tionscadal STEM a dhéanamh. Tá alán oibre déanta acu don chomórtas agus táimid beagnach réidh anois! Tá an chomórtas ar siúl ar an 28/1/16 agus an 29/1/16 i CIT. Beidh bus ag fágaint na scoile an dhá lá sin ag a 8:20 agus ar ais timpeall a 2:30. Le sin beidh ar na páistí a bheith ar scoil go luath ar an Deardaoin agus Aoine an seachtain seo! Costas an bhus €10. Féach ar an suíomh seo a rinne na páistí! For the last few months Rang a 5 have been very busy with the robot. They had to build it, name it, make teams, program it, make the art work and complete a STEM project. They have a lot of work done so far and nearly ready for the competition. **Rang a 5 are to be in school at 8:15 on Thursday 28/1/16 and Friday 29/1/16. 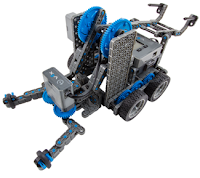 Please click the links above to see the website the children made and also for more info on the Vex IQ competition. Muna bhfuair tú aon téacs ó 'Gaelscoil' le dhá lá anuas, téigh i dteagmháil leis an rúnaí Hilda le bhur dtola. 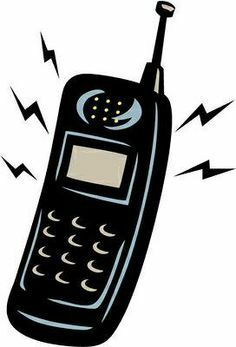 Dear parents, if you did not receive a text message from 'Gaelscoil' over the past two days, please get in touch with Hilda so that we can update your details. A thuistí, Cuireadh ar an eolas mé go raibh cás míoltóga ghruaige i Rang 2. Scrúdaigh gruaig do pháiste anocht agus cuir an leigheas cuí air más gá. Chun na míoltóga gruaige a sheachaint chabhrófar gruaig na gcailíní a chur suas agus banda gruaige leathan a chaitheamh. Go raibh míle maith agaibh! Dear parents, I have been informed of a case of headlice in 2nd class. Please check your child's hair tonight and treat it if necessary. To avoid the head lice it would help to put up the girls' hair and for them to wear a wide hairband. Thanking you all in advance! Bronnadh brat na hÉireann orainn inniu 14/01/16. Tháinig na hÓglaigh Dónal Cogney agus Ruairí de Barra chugainn. Léigh siad amach an forógra agus labhair siad linn faoi gcúram an bhratach. D'fhreagair siad ceisteanna faoi Éirí amach na Cásca. Thaitin an searmanas go mór leis na bpáistí agus táimíd ag súil leis an lá gur féidir linn an brat a chur ag eitilt. 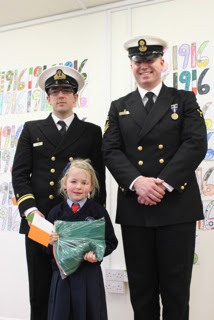 The Irish flag was presented to the Gaelscoil today 14/01/16. 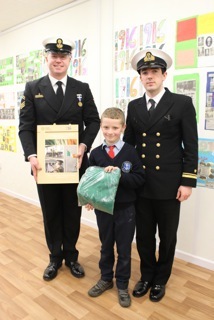 The Irish Naval service officers Don Cogney and Rory de Barra visited us. They read the proclamation and spoke about the Irish Flag. We spoke about the 1916 commemoration and they answered some questions. 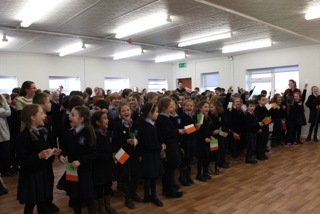 Pupils really enjoyed the ceremony and we are looking forward to putting the Irish Flag flying outside the Gaelscoil. Ghlac Ruairí Ó Doibhlín agus Kelly Ní Néill le bratach na hÉireann. 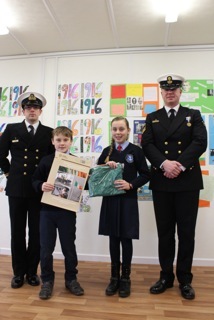 Ruairí and Kelly accepted the flag on behalf of the school. Izzey Colbard- Sin-seanuncail le hIzzey is ea Séan Ó hÓgáin, duine des na triú bhriogáid Thiobraid Árainn. such units during the revolution. Léigh Darragh Ó Bruadair, Síomha Nic Liam agus Crios Ó Céilleacháin an forógra amach. 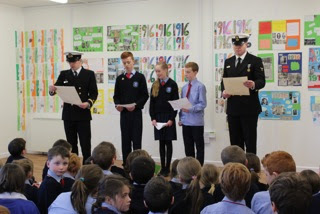 Darragh, Síomha and Crios read out a piece each from the proclamation. Officers Dan and Rory know Daidí le Liam, Róisín and Aoibh. During the Mass, we will focus on Baptism and how it is through Baptism that we become part of the community of the Church. Fr. Robert will explain to the children that this community of the Church is sometimes referred to as the body of Christ. There will be a white shawl, baptismal candle, some holy water, Oil of Catechumens, and Oil of Chrism for the children to see. A bottle of holy water will be given to each First Holy Communion child at the end of the Mass. · Monday, 7th March 2016 at 7 PM, for the Gaelscoil. With this in mind, we will also consider the importance of forgiveness in our lives, how life-giving and freeing it can be. Before coming to Mass, I would like all parents to explore the idea of forgiveness with their children. What do we do when we know we’re done something wrong? Knowing how to ask for forgiveness and being able to forgive are important life skill that we all need. Tháinig Lifetime Labs chugainn inniu 12/01/2016 chun deis a thabhairt dúinn cleachtadh don gcomórtas Robotics le EMC. D'oibrigh ár róbat agus tugadh an-moladh do rang a 5 don gcaighdeán árd oibre agus don dul chun cinn atá déanta acu. 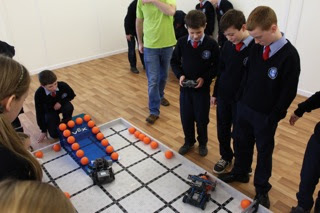 Lifetime Labs visited 5th class today 12/01/2016 with the arena for the VEX Robotics competition being run by EMC. We were able to test our robot for the upcoming competition as well as try out other robots. Our robot completed the tasks well and the coordinators were very impressed with the standard of work that 5th class have achieved so far. A thuistí, Cuireadh ar an eolas mé go raibh cás míoltóga ghruaige i Naíonáin Shóisearacha, Rang 2 agus Rang 5. Scrúdaigh gruaig do pháiste anocht agus cuir an leigheas cuí air más gá. Chun na míoltóga gruaige a sheachaint chabhrófar gruaig na gcailíní a chur suas agus banda gruaige leathan a chaitheamh. Go raibh míle maith agaibh! 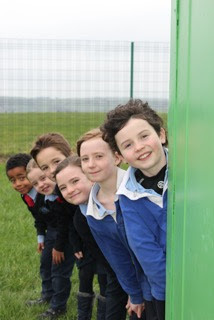 Dear parents, I have been informed of a case of headlice in Junior Infants, 2nd and 5th class. Please check your child's hair tonight and treat it if necessary. To avoid the head lice it would help to put up the girls' hair and for them to wear a wide hairband. Thanking you all in advance! Gheobhaidh tuismitheoirí dáta (19ú nó 21ú/ 01/16) agus am amárach (12/01/16) dos na cruinnithe. 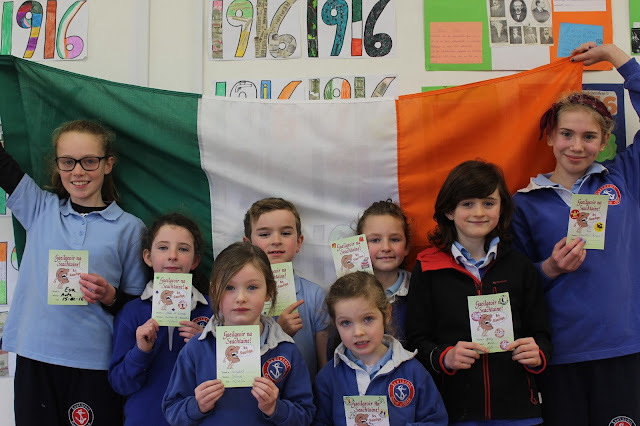 Marfaidh gach cruinniú 10 nóiméad. Táimid ag súil le bualadh libh. Parents will receive details tomorrow (12/01/16) in writing of the parent- teacher meetings (taking place on either 19th or 21st /01/16.) Meetings are 10 minutes in duration. Looking forward to meeting you all. Comghairdeas le Juliette Nic an Taoisigh a d'éirigh an babhta leath-cheannais do Doodle 4 Google a bhaint amach! Maith an cailín! 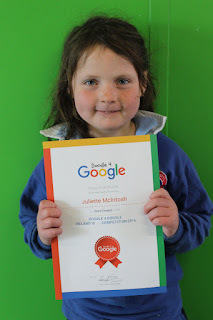 Congratulations to Juliette McIntosh who has succeeded in reaching the semi final of Doodle 4 Google! Well done Juliette! It is a great achievement. Go n-éirí léi. Beidh treanáil iománaíochta ar siúl gach Luan ar feadh 8 seachtaine ag tosnú ar an Luan seo chugainn 11/01/16 le Anthony Shannon. Beidh Naí-bheaga- Rang a 1 ag déanamh treanáil ón 18/01/15 ar aghaidh le cúpla tuismitheoir agus ár mbuíochas leo. Hurling and camogie training will begin on the 11/01/16 in school with Anthony Shannon for ranganna 2-6. Junior-1st class will begin training on the 18/01/15 in school with some parents, our thanks in advance to them.